CUE Regional Event: Dallas July 25, 2018 - CUE, Inc.
Hit the road with CUE Inc. in 2018! 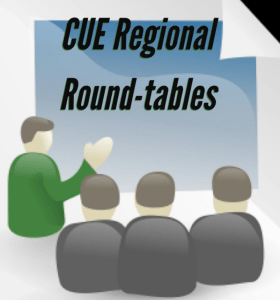 Join CUE members, CUE experts, and local business leaders as we come to your local area for a regional meeting. CUE members and experts will engage in a wide-ranging discussion on what issues are impacting labor and employee relations in your local area. Our regional meetings are an excellent low-cost opportunity to build your local network, send local staff who may not be able to attend one of the CUE national conferences and to share best practices and increase awareness of developing local trends. This event hosted by Clyde Jacob of Fisher Phillips and Diana Vera of H-E-B.